Microphones set out to detect volcanic eruptions in Alaska's Aleutian Islands recorded sounds of Bogoslof volcano erupting over eight months from December 2016 to August 2017. Researchers analyzing the recordings identified several cracking sounds from eruptions on March 8 and June 10 as volcanic thunder, a phenomenon the study authors said has never before been captured in audio recordings. "It's something that people who've been at eruptions have certainly seen and heard before, but this is the first time we've definitively caught it and identified it in scientific data," said Matt Haney, a seismologist at the Alaska Volcano Observatory in Anchorage and lead author of the new study accepted for publication in Geophysical Research Letters, a journal of the American Geophysical Union. "Understanding where lightning is occurring in the plume tells us about how much ash has been erupted, and that's something that's notoriously difficult to measure," Johnson said. "So if you're locating thunder over a long area, you could potentially say something about how extensive the plume is." This audio file contains 20 minutes of microphone data recorded during the March 8, 2017 Bogoslof eruption, sped up 60 times. The volcanic thunder sounds are the quick clicks and pops heard throughout, while the sounds of the eruption are the lower-pitched whirring sounds. The eruption ends halfway through, at the 10-second mark, after which the thunder can be heard more clearly. Credit: Matt Haney / Alaska Volcano Observatory & U.S. Geological Survey. In the new study, scientists detected thunder at Bogoslof volcano in Alaska's Aleutian Islands, a chain of more than 50 volcanic islands in the northern Pacific Ocean. 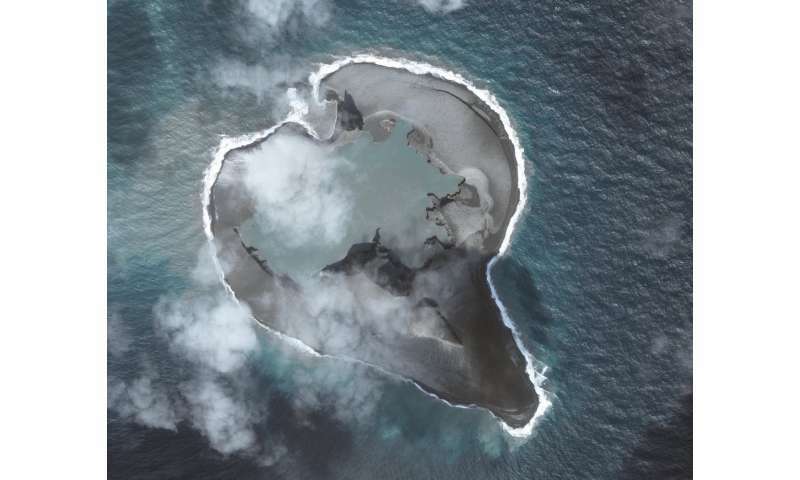 Researchers constantly monitor the islands from afar for signs of impending eruptions. They use seismic sensors to pick up ground movement before or during an eruption, arrays of microphones to detect sounds of ash exploding skyward and a global network of lightning sensors to detect lightning strokes within an ash plume. Thunderstorms are rare in the Aleutian Islands, so when sensors detect lightning, it most likely means there's an ongoing eruption, Haney said. 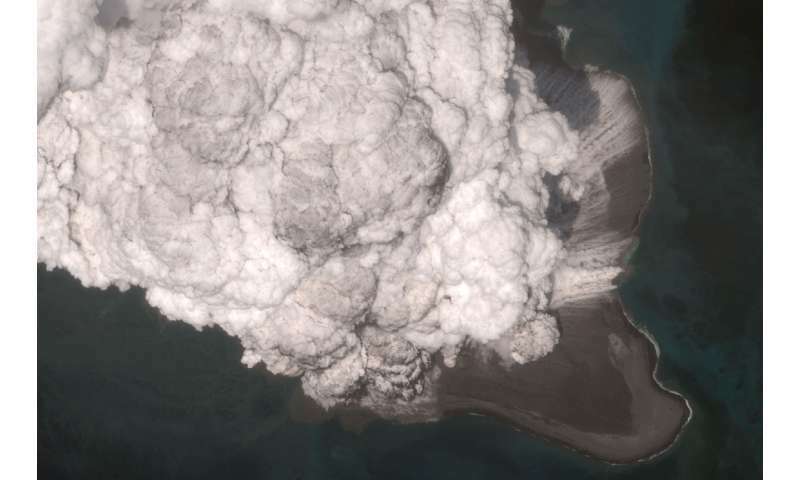 Bogoslof's eruptions on March 8 and June 10 created ideal conditions for observing volcanic thunder, Haney said. Both eruptions generated immense ash plumes that persisted for several hours after the eruptions ceased. Without the din of an eruption in the background, researchers had a better chance of hearing cracks of thunder caused by lightning in the plume. This audio file contains 5 minutes of microphone data recorded during the March 8, 2017 Bogoslof eruption, sped up 10 times. 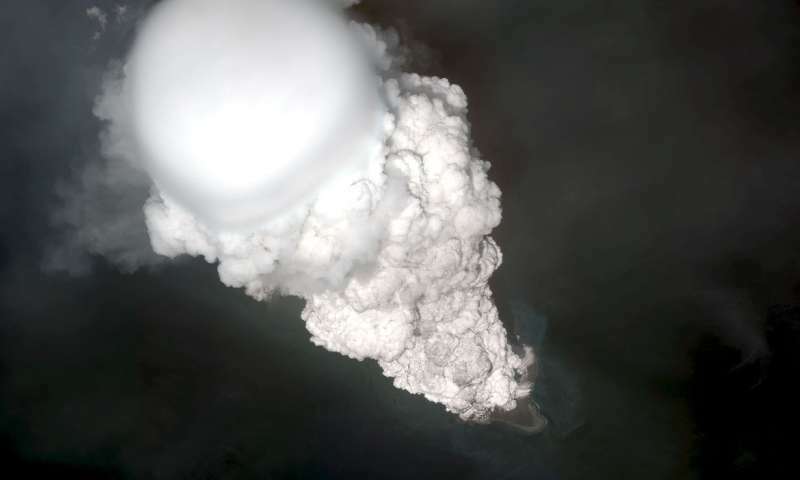 The recording captures thunder from 10:21:30-10:26:30 UTC on March 8, after the eruption had ended. Credit: Matt Haney / Alaska Volcano Observatory & U.S. Geological Survey. "If people had been observing the eruption in person, they would have heard this thunder," Haney said. "I expect that going forward, other researchers are going to be excited and motivated to look in their datasets to see if they can pick up the thunder signal."